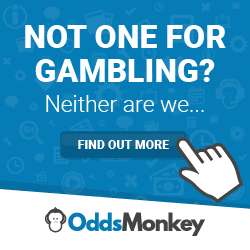 We are Matched Betting Zest (“we”, “our”, “us”). Our site address is: https://matchedbettingzest.com. The type of data that we collect and process includes your name, gender, your email address, browser type and version, operating system, your IP address. Further data may be collected if you choose to share it, such as when you fill out our contact form, you browse this site (see “Cookies” below), you submit a comment on this site. In addition to notifying you of activity on our site which may be relevant to you, we may wish to communicate with all users via newsletters or announcements by email. You can opt-in to or opt-out of such emails. We may collect non-personally identifiable information about you in the course of your interaction with this site. This information may include technical information about the browser or type of device you are using. This information will be used only for analytics purposes and tracking the number of visitors to this site. Cookies are small text files which are set by us on your computer which allow us to provide certain functionality on our site such as remembering certain preferences. When users leave comments on the site we collect the data shown in the comments form, and also the user’s IP address and browser user agent string to help spam detection. If you leave a comment on our site you may opt-in to saving your name, email address and website in cookies. These are for your convenience so that you do not have to re-enter your details again when you leave another comment. These cookies will last for one year. You have a right to access the personal data we hold about you or obtain a copy of it (for example, if you have left a comment). To do so please contact us. If you believe that the information we hold for you is incomplete or inaccurate, you may contact us to ask us to complete or correct that information. You also have the right to request the erasure of your personal data. This does not include any data we are obliged to keep for administrative, legal, or security purposes. Please contact us if you would like us to remove your personal data. Cookies are small text files stored on your computer by your web browser at the request of a website you are viewing. This allows the website you are viewing to remember things about you, such as your preferences and history or to keep you logged in. Cookies may be stored on your computer for a short time (such as only while your browser is open) or for an extended period of time, even years. Cookies not set by this site are not accessible to us. Registration and maintaining your preferences. This includes keeping the site in the language or appearance that you requested. Advertising cookies (possibly third-party). If this site displays advertising, the advertisers may set cookies to determine who has viewed an advert or similar things. These cookies may be set by third parties, in which case this site has no ability to read or write these cookies. Other third-party cookies for things like social media website sharing (Facebook, Instagram, Twitter, etc.). These cookies will generally be set by the third-party independently, so this site will have no ability to access them. Other cookies may be set by third party service providers, which may provide information such as tracking anonymously which users are visiting the site, or set by content embedded into some pages, such as YouTube or other media service providers. You can manage your cookies and cookie preferences from within your browser’s options/preferences. To find more information about cookies, and about blocking certain types of cookies, please see the ICO website Cookies page.